Are your Landing Pages converting at 30% or more? Are your Product Descriptions compelling people to buy? Are your Ads bringing in highly targeted leads? Is your website bringing in free, organic traffic and getting you high rankings on Google and other search engines? Then your copy needs help. I help solopreneurs and small businesses connect with their customers on a meaningful level so that their message can break through the noise. 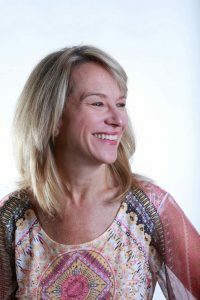 Whether it’s tweaking a headline, rewriting a launch script, evaluating and developing recommendations for an entire funnel, or full content development planning, I help your business grow by creating the copy that connects your passion and your purpose with the customers and clients that will benefit most from your products or services. I believe that every company needs to support the customers they serve – and your copy should speak to them directly. This isn’t just about explaining the “Features and Benefits” of your products or services. I help you dig deep into what your prospects are going through – and how your products or services can help. Even if you’re getting hundreds of thousands of visits to your site each month, each visitor is one person – make sure your content speaks to them using the “language they understand and respond to”. There’s no such thing as “talking to the masses” anymore – but it IS possible to make each site visitor feel like you’re speaking directly to them.